One of the most sought after jobs in Flyff is the blade. I am here to tell you my experience with blades since my time in the past. This is my first time to write a guide so just be polite about it. This guide will be as short as possible and I will be adding mine’s and others’ opinions as well. 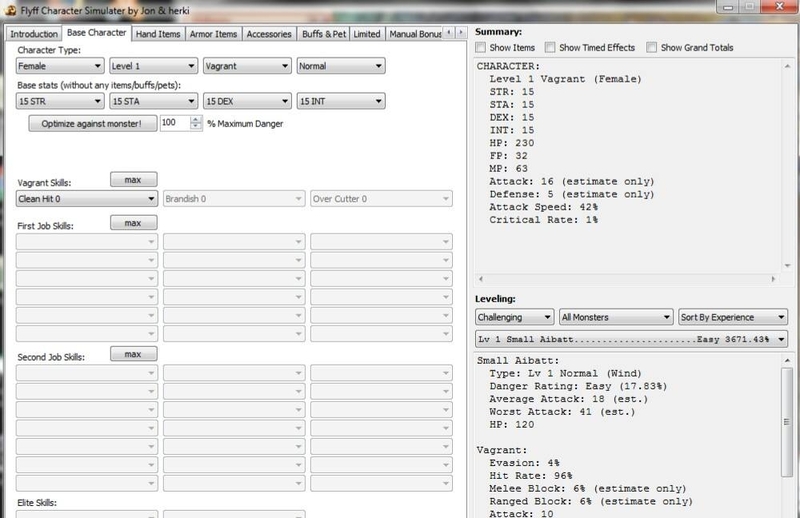 I will be posting a link to a Flyff Character Simulator at the end of my guide for your reference in stat bonuses. Remember, I will just be posting the builds that I have tried in playing Flyff and also discuss a few PROs and CONs for it. Vagrant>Mercenary>Blade – that is the job tree to becoming a blade. Upon reaching Vagrant level 15, you can change your job to a Mercenary, and upon reaching Mercenary Level 60, you can change your job once again to become a Blade. Blades are good at both PvM(Player vs Monster) and PvP(Player vs Player). When going for Giants and Super Bosses as most stats, 3 among the 4, can benefit the blade very well. Good blades are always supported by a good RM(Ringmaster). Equipment is very expensive for blades because of high-demands of the players. When I started on this server I made it all the way to level 105 using only NPC Weapons(lol), but it has fairly good awakes. Before we discuss different builds let me just inform you that the INT stat has no use for Blades nor is the MP stat, so I’ll be taking it out of the equation. So without further ado, let us discuss each possible Blade build. The guide presents Base Stats (The one you see before you log in to be precise). Hybrid Blades can come in many different packages based on your needs. One PRO for this build is that you don’t need to have a highly upgraded set – a +3 will do, if you have the budget go for a +5. Higher STA will give you more survivability on Tower Mobs and also Giant-Hunting will be easier. Higher Dex will give you more Critical %, ADOCH (Additional Damage of Crit Hits), Block Rate and Accuracy. Also, Hybrid Blades have no problem in accuracy since they have quite the DEX to support it. One thing to remember in using this build is that a Good FS Ringmaster with max buffs can still give you STR+20, STA+40, DEX+20, 12% Block Rate and 20% Accuracy. You can use the link for the calculator I posted below. Hybrid STAMINA and PURE STA Blades have better HP in comparison to the Hybrid Blade. They can go for Super Giants with an added chance for survival (in-case your tank get’s dc’d then the giant transferred its attacks on you). Do not expect better damage with this build though but if you want to have better damage, a highly upgraded equipment is need (ready your 7% TC’s and A cards, too). Damage isn’t really a problem once you have reached Lvl105 and already donning those LGA’s. SURVIVAL is the key here, especially if you want to SOLO-hunt something. This is recommended for players who want to hunt as a soloist, and yes, you still need an RM. One more PRO for this build is when you get DC’d, you can assurely be safe the next time you log in you character. As the name implies, you should put your stats all in STR. This is my current build and the one I used to get to Lvl100 without using or buying fancy weapons such as Angels Axe, etc. How did I managed to get to this level, you may ask? Well, since Flyff Iblis opened, this is my first account and I have no penya to spend. I just saved my penya to buy a Blain Set and two LGA’s. The problem I got when I used this build was that I die so easily in PvP, Giants, and even Tower Mobs. The accuracy for this build is pretty horrible, too. You should have atleast a +5 set for a +10% hit bonus, +8 set for a 30% hit bonus, +10 set for 45% hit bonus. You may also prefer using sword buffs because Blazing Sword Skill gives you another +10% hit bonus. For hit computation for this build let’s say you have a +8 set: 30% hit from the set + 20% from accuracy (max buff), and +10% from blazing sword with a total of 60% hit in which will already suffice for leveling purposes. Another problem I see with this build is you need to also have a Lvl90 Set Dayst/Dest for leveling purposes and which will make your Blade even stronger with the +15Crit Chance Effect, but this is just an option and not very compulsory, I’d rather still have survivability with the Blain/Virain Set rather than mostly focusing on attack and it greatly improves PvP performance. Here is the link to the Flyff Stat Calculator I mentioned above https://sourceforge.net/projects/flyffcharsim/. It’s fairly easy to use and it estimates stats quite nicely with a margin of error of -+5% in my experience. Just try it out for yourselves. 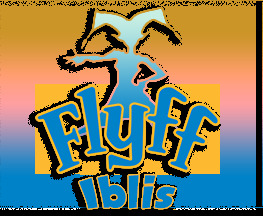 Happy Flyffing!